There’s something to be said for one’s seeing the most famous and therefore important sites and buildings in a city. On a first trip to a new city, I often participate in some amount of this sort of tourism. However, if you’re in the mood for something different, or if you’ve visited that city or village in the past, you’ll probably want to do some detour-traveling.“Detour traveling” is the name I’ve come up with to describe seeing the less-popular but often no less impressive or interesting sites that a region has to offer. Unless you find a tour that specifically promises to deliver this to you, you’ll probably need to come up with the off-the-beaten-path targets on your own. The internet, of course, is invaluable in searching for these sorts of places. If you have a friend who’s local to the area, she or he is another resource on which you should rely, to one extent or another. 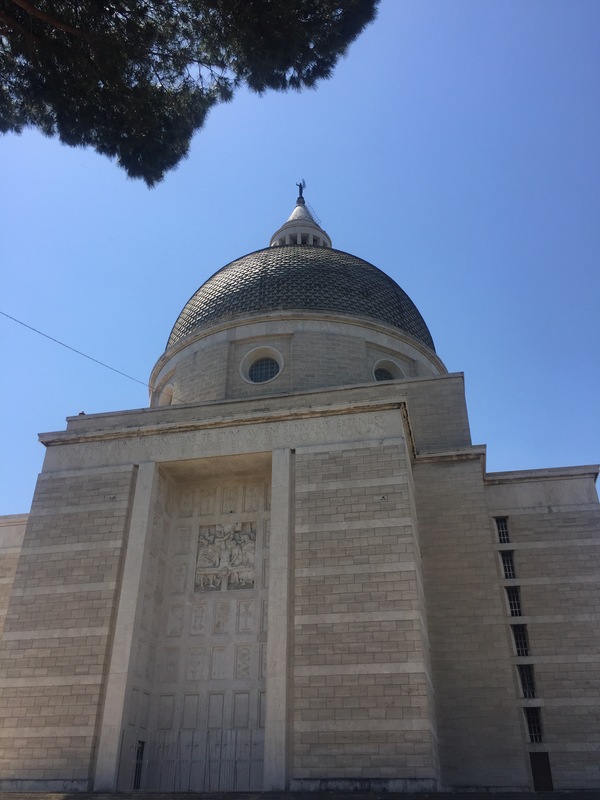 In Rome, for instance, there’s a checklist – just as in any other major city – that includes important buildings and monuments: the Vatican, the Pantheon, the Spanish Steps… and so on.The list will vary according to the purpose of your visit (e.g. are you interested in religious history, ancient Roman history, or – heaven forbid it – shopping the wealthiest shops in the world?). But beyond this list of essential places to see, there are uncounted other (i.e. “hidden”) gems, in most any city in the world. Also on this secondary list should be Torre Argentina, in the southern part of the center of Rome. It dates back to the 4th century BCE, and it currently serves not only as an impressive bit of ruins and a possible alternative site for the death of Julius Caesar, but as a feline sanctuary – home to 100-200 cats. Tertiary sites include the Piazzele dei Santi Pietro e Paolo, a church built in the formula of straight lines and smooth surfaces of fascist architecture under the direction of Benito Mussolini’s builders; it sits as the pinnacle of a neatly orchestrated fascist paradise of a town and is unlike anything you’ll see in Centro (exuent: EUR Palasport metro stop). Another destination should be the Buenos Aires stop on the Metro, nearby which – to Via Dora to its immediate northeast. Pass under the stone entryway and through the Piazza Mincio into a neighborhood of embassies and palatial villas. This neighborhood, too, is unlike anything else in Rome. There, you’ll find influences of the gothic, modern, Spanish, Arabian… you won’t be disappointed. u’re in the checklist-traveler camp, though, add these places to your list. Remember, the full summer’s posts can be found here, on the control page. 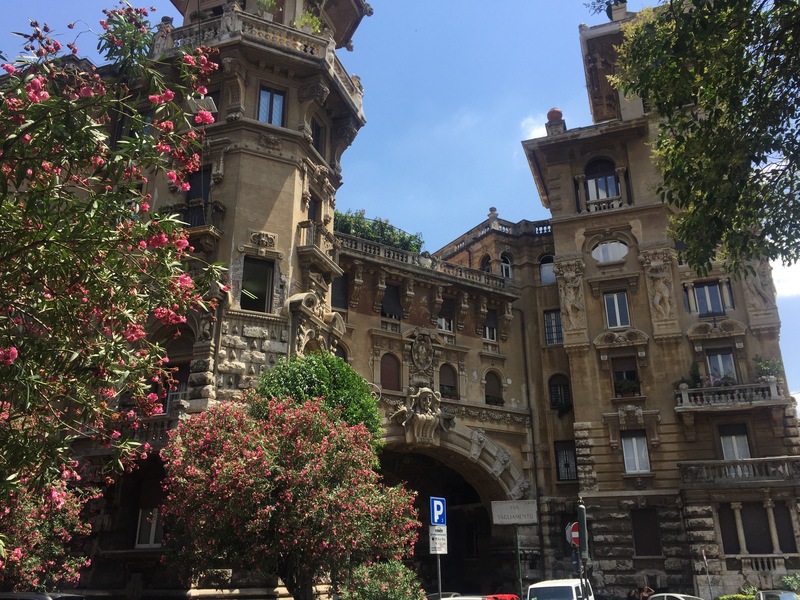 This entry was posted in Travelogue, Travelogue 2017, Travels and tagged architecture, backpacking, buildings, europe, european trip, fascist architecture, italia, Italy, metro, roma, rome, sightseeting, Slow Travel, travel. Bookmark the permalink.